This seems to work anywhere you can view a slideshow on Flickr – any set, any photostream, etc. 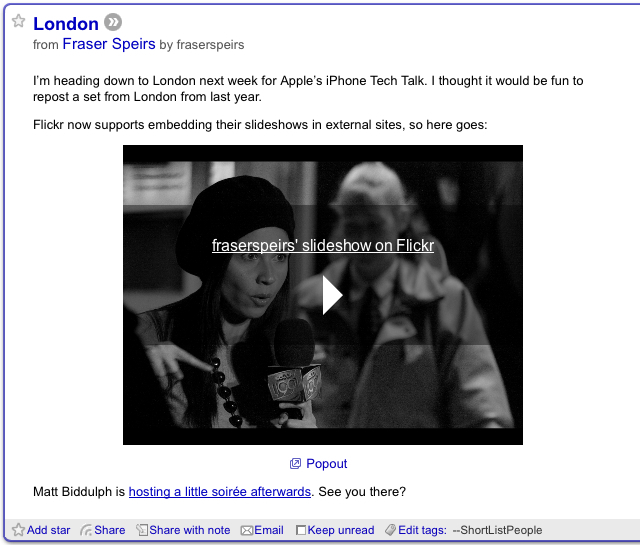 (Hint: when in doubt, try adding “/show” to the end of the Flickr URL.) Look for the “Share” link in the upper right corner of the slideshow. You can customize the embed code, with different preset sizes (small – 400×300, medium – 500×375, large – 700×525, and super-sized – 800×600), or enter a custom size.